Joseph Déchelette is not unknown in St-Maurice. His house, quite next to the dungeon , still houses the famous fireplace at the origin of his setting up in the village. In 1905, he married Ms Jane Bonnier and in 1906, visiting a house in St-Maurice to buy the fireplace, he was conquered by the site and bought the house for his young wife. Before WW1, he spent all his summers there and Mrs Déchelette continued this tradition until his death in 1958. The Romanesque choir of the St-Maurice church is adorned with 13th-century frescoes discovered by chance in 1911. He supervised their restoration, studied them and had them surveyed. The Gallo-Roman oppidum of Joeuvres (on the other side of the Loire). In 1880, traces of antique buildings were discovered during the mining of a vineyard. In 1911, Joseph Déchelette collected a number of objects: amphorae, ceramics and bronzes, including small statues representing a wild boar and a horse, remarkable testimonies of Celtic art. He identified them as dating from the first century BC. The Gallic fortress of Lourdon with its vitrified wall (village of Villerest). The magdalenian site of the Saut du Perron, now engulfed in the waters of the Lac de Villerest. When the First World War broke out, and despite his age (he was 52 years old), he asked to be enlisted in the active army. On the fire line, he was shot on 3rd October, 1914. He died the next day and was buried in Vingré. The world pays tribute to him, and modestly, St-Maurice counts him as the first of his children “ who died in the field of honor”, having his name written on the commemorative monuments in the churchyard and the church of St-Maurice. 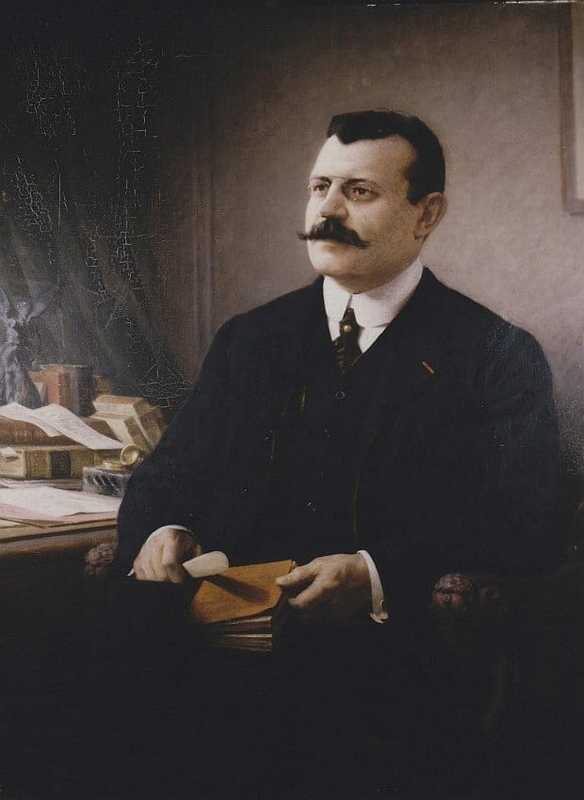 In addition, on 18th December, 1989, Ms Marie-Suzanne Binétruy (also having a house in the village) presented a thesis of cycle III at the University of Paris I-Panthéon-Sorbonne on Joseph Déchelette. She was also the author of the first biography of the archaeologist intended for the general public and published in 1994. 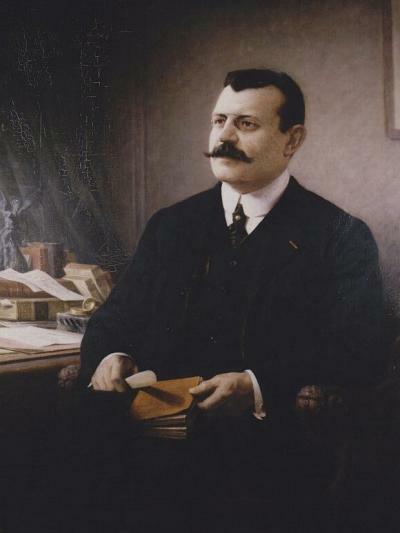 Joseph Déchelette was born in Roanne. After his studies with the Marists of St-Chamond, he joined the family weaving business as a salesman. For twenty years, he traveled through Europe, the Mediterranean basin and the south of France, looking for the best cottons and proposing the productions of the house: cotton fabrics and canvases of Vichy. For the young man these commercial tours were the opportunity to visit museums, churches, sites. On his notebooks, between two orders, he used to draw a sketch, or note a curiosity. He left the industry in 1899 to focus entirely on his archaeological work. On 7th February , 1884 Joseph Déchelette was admitted to La Diana, historical and archaeological society of Forez. This is when he completed his training as a historian, learning to conduct excavations, collect all kinds of information and classify them. On 29th March, 1887 he was appointed correspondent for the Society of Fine Arts of the Departments, which made him the relay of the Ministry of Fine Arts in the region. Thus he undertook safeguarding actions on several Roannais monuments (including the Charlieu cloister), identifications and publications such as the Ambierle triptych or the stained glass windows of Bénisson-Dieu. In 1867, his uncle Mr Buillot conducted excavations that led to the discovery of the Bibracte site on Mount Beuvray (Bibracte was the capital of Eduans in Caesar’s time). As soon as he could, Joseph Déchelette helped him in his research ; whats’ more, from 1897 to 1907, he continued the survey undertaken by his uncle The results of his excavations, and what he had been able to observe in the various visited museums, enabled him to write a study on “Vases and ceramics adorned with Roman Gaul”. In 1899, while visiting the Prague Museum, he intuited the unity of the Celtic world and something obvious came out: it was possible, from the discoveries, to trace the history of this people. Mr Salomon Reinach, curator of the Museum of National Antiquities of Saint-Germain en Laye urged him to write a handbook of prehistoric Celtic and Gallo-Roman archeology, The first two volumes devoted to prehistory were published in 1908. Celtic archeology is the topic of three volumes published in 1910 and 1913. The First World War interrupted this publication. After the war, the handbook was continued with the notes of Joseph Déchelette for the Gallo-Roman period. Today, these books remain a reference for researchers. They have been republished twice since his death: first in 1924-1927 and then in 1987-1989.